In astrology zodiac signs are very important because every person has different zodiac sign and it decides the nature of person. Just by knowing the zodiac sign, it is possible to know many things about the personality of person. How to know the zodiac sign of any person? 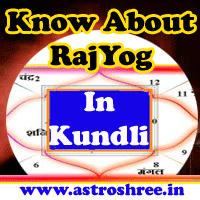 It is necessary to have birth chart of any person to know the zodiac, It is also called "RASHI" in hindi. First of all see in which house the Moon is present and then see what is the number present in that house. Every number represent a particular zodiac sign. The number which is present with the moon is the zodiac sign of the person. For example if Moon is present with number 4 that means the Rashi of person is Cancer/kark.